Welcome to the official website of Middlesbrough Football Club In the Community. Although middlesbrough football club in the community have used reasonable endeavours to ensure that the information and/or material contained on this website is correct, they do not make any representations or warranties that the information and/or material contained on or accessible via this site is accurate, complete or current or that use of the site is free of risk of viruses or other damage. even if they have been advised of the possibility of such loss. This does not affect your statutory rights as a consumer under english law. This website and its design, text, graphics, illustrations, images and other feed (audio and video), the selection and arrangement thereof and software are copyright © of Middlesbrough Football Club in the Community or their licensors. The trade marks depicted on this website are the property of Middlesbrough Football Club in the Community or their licensors and they retain all rights in such trade marks. The sports archive photographs are supplied and used under licence from Middlesbrough Football Club. i Permission is granted to download the materials contained on this website to a single personal computer and to print a hard copy of such materials solely for personal, non-commercial use. c. You re-produce the extracted material in complete and unmodified form and, if the supply by you of the extract is via the internet, that you do not frame the extract within your own website. For the purpose of these items, non commercial supply or use shall mean that neither you nor any third party may charge for viewing any materials that have been downloaded or copied from this website, and that neither you nor any third party can use any materials from this website to attract others to buy goods or services. Any other use of materials on this website, including storage and recording (other than on a purely transitory basis to permit you to view them), reproduction, modification, distribution, re-transmission, diversion or republication, without the prior written permission of Middlesbrough Football Club in the Community is strictly prohibited. This means, for example, that you must not use on any other website any materials displayed on this website from time to time. The information and data (“personal data”) which is provided by you in connection with this website will be held on the computers and manual records of, and will be used by Middlesbrough Football Club in the Community and any other reputable suppliers of goods and services which Middlesbrough Football Club in the Community believes may be of interest to you (together “the companies”). A complete list of all such companies is available on request from the address below. i To update and develop the companies’ records and for assessment and analysis including market and service/product analysis. iii To facilitate reviews, developments and improvements to the services/products offered to you. By law you are entitled, upon payment of a fee, to receive a copy of information or data about you that is held by any of the companies. You are also entitled to require the rectification, erasure or blocking of any such information or data which is inaccurate or not up-to-date and held by the companies. If you wish to exercise any of there rights, or if you wish to opt-out of any future processing of your information or data held by the companies, please write to Middlesbrough Football Club in the Community at the address below stating your full name and address and providing any other relevant information. The views expressed on the Message Board are those of the individual user and not those of Middlesbrough Football Club in the Community. Middlesbrough Football Club in the Community ask you not to post messages or e-mails which are abusive, obscene, defamatory or the content of which is otherwise undesirable, illegal or in breach of any person’s rights, and they reserve the right, in their full discretion, to remove any such messages or e-mails at any time and without notice to you. Any requests for refunds on courses not attended, must be put in writing to the centre manager at the address shown. No refunds will be given via the website but only through contacting the centre direct. Cancellations must be made direct to the operations manager and can not be dealt with through the website. The centre must be contacted within 5 days of the start date of the course. Any cancellations after this time will not be eligible for refund. 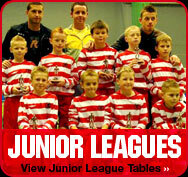 All materials on this website copyright of Middlesbrough Football Club in the Community.